Community Connect, also referred to as Community Alignment, enables a larger healthcare system to extend their enterprise electronic health record (EHR) system to smaller organizations in the community – resulting in the practice or hospital having access to a more integrated and robust EHR. As the needs for patient engagement, care coordination, and interoperability grow, the need to extend the capabilities of your EHR to community hospitals, clinics, and physician practices benefit both the community and the patient. 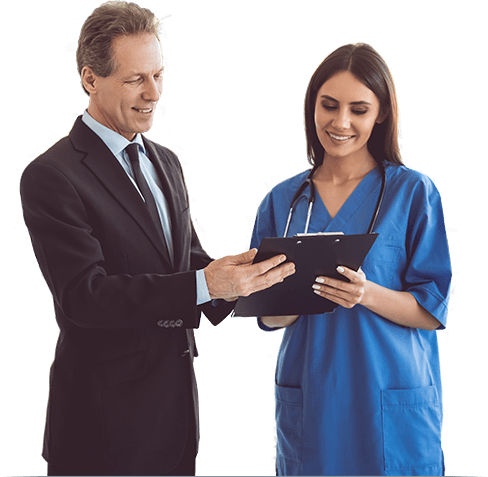 Additionally, Community Connect has helped with the development of many Accountable Care Organizations (ACO) by providing for easier data collection and metrics reporting. Optimum Healthcare IT has a dedicated Community Community practice that leverages our knowledge, understanding, and experience with technology, methodologies, and tools to strategically align the goals and processes of our clients and extend them into the community. Our Community Connect team have sat in your seat and have experienced your anxiety about becoming a vendor. By sharing lessons learned and best practices, Optimum Healthcare IT will bring clarity for defining your program knowing value-based care will drive reimbursement. The Optimum approach starts with our on-site workshop where we analyze your market and understand costs, develop a tailored offering to meet your strategy and assist in contract creation and implementation schedule. We will help you promote your Connect offering to the community, as well as fully implement once final design decisions have been made, and help you understand the requirements of the Stark Law exemptions. The complimentary workshop offered by Optimum Healthcare IT is conducted by Kelli Mangino & Jon Staffon, VPs of the Community Connect Practice. The workshop includes, but is not limited to, strategy, governance, contracting & pricing, sales & marketing, technical & application build & design, team structure, training &, help desk. By meeting with an organization’s C-Suite, directors, managers, & analysts, our experts will help your organization build a successful program for both inpatient and/or ambulatory settings. Our experts remain engaged during the implementation as advisors, managing the Community Connect team & interacting with the client throughout the project.